Nibbling has designed and produced a new range of Pram Mobiles with Teething Rattle, which is Made in the UK. Our designs are a contemporary twist on a classic baby mobile. 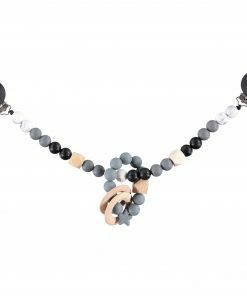 We mix medical grade silicone beads with untreated hand polished maple wood beads to give a beautiful texture and contrast. Our unique design of pram and moses basket mobile comes with a removable Rattle Ring Teething toy. 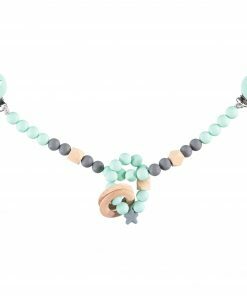 A beautiful New Baby Gift or Christmas Gift. Personalisation available on request.